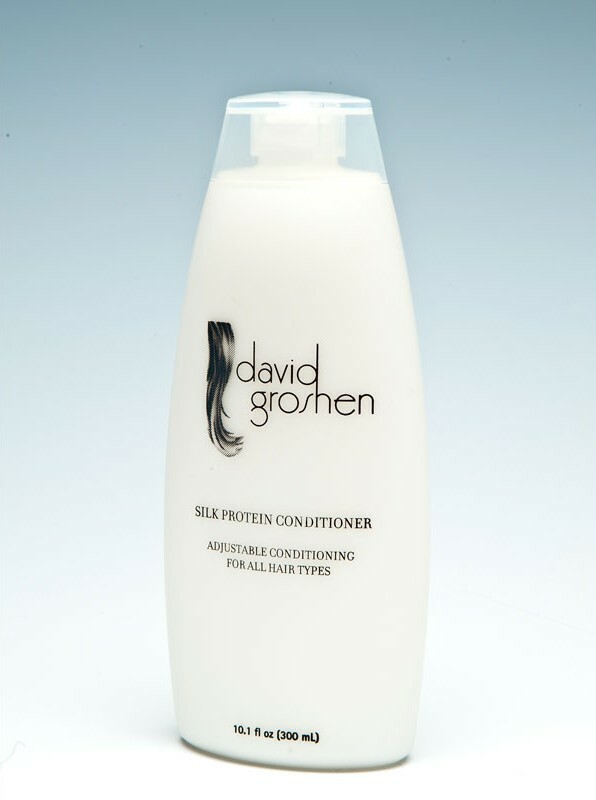 David Groshen Silk Protein Conditioner deep conditions dry, damaged and chemically treated hair in just 60 seconds. Proteins of differing molecular weights penetrate deep within the hair shaft to produce benefits that no single protein can. Botanical extracts energize and revitalize depleted stressed hair. Special anti-static formula fights flyaway hair and the frizzles, producing exceptional manageability and a healthy luster. Key Botanicals Ingredients: Extracts of Aloe Vera, Ginseng, Gotu Cola, Rose Hips, and Spirulina. Benefits: Soothes, Conditions moisturizes and protects hair, natural sunscreens, heals and hydrates.